For Guilin, biking is certainly a perfect way to explore this scenic city. And just a short bike ride out of town, cyclists can be transported into a completely rural setting. Thus, bike rental and cycling is something 100% recommended. That is a perfect way to get off the tourist path and enjoy close-up views at your own pace. There are several guided bicycle tours available to meet our travelers’ need. 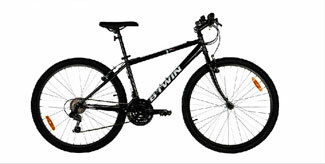 And also, we provide some different models of mountain bikes - BTWIN, Giant ATX 790/890, XTC770 and TALON770 - for rental, which are the most suitable ones for riding on the cycling path in Guilin. We also have some of the top bicycle technicians of Guilin, with many cheaper and more comfortable bicycles available for you, big differences and amusement will be found when you on our self-assemble bikes! 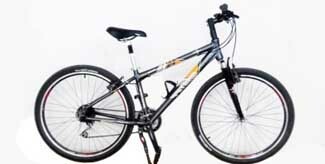 Vintage 21 inch mountain bikes, with sturdy 21 speed change. Available: Near Guilin Train/Bus Station. Front seat suitable for 1.6M height and above, 18 speed shifter, for urban areas only. 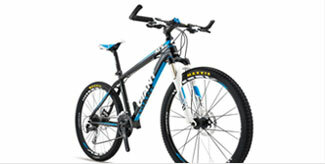 15,17,19 inch high-performance mountain bikes, with Shimano 24 Speed shifter. 17, 18, and 19 inch Giant mountain bikes,with Shimano 27 speed shifter. Available: Near Guilin Train/Bus Station and Shangri-La Hotel. 1. To rent a bicycle, your identity card or passport is needed as a security deposit. Or you can pay cash at RMB250/500/800/1800 or more for each bike based on their original price. 2. It is suggested to call us by local phone to 0773-3810665 before going to our office if possible to ensure enough time to prepare everything as sometimes we are out for bike groups. 3. Bike rental includes helmets. 4. Renting bikes from 4:00pm is regarded as a bike rental for a whole day as we will be off work after 6:00pm and you can only return bike the next morning. 5. Locks are not supplied for bike rentals as it is quite easy you will lost it when visiting somewhere inside like parks, supermarket, etc. Be with your bikes, it is suggested for outdoor fun and do not leave it alone in urban and crowded areas of Guilin. If you are living near the Guilin Zhengyang Pedestrian Street (正阳路步行街) or the Waterfall hotel of Guilin, try to find the Gunanmen (古南门) then the This Old Place Hostel nearby, and then you can find the red bridge mentioned and then easy to find us soon. If there is no one in our bike shop, please go out the gate and turn right then turn left at the traffic light, go straight to The Old Place Hostel. There are bikes in the hostel for rental anytime. Booking in advance is highly appreciated especially on weekends, please send us an email to biking@easytourchina.com. You can call us at 0086 773 3810665 （Working Hours from Mon.to Fri. or going to our address anytime for further instructions on the wall). Recommended budget one day Guilin/Yangshuo cycling tour to countryside for small groups. We offer car supporting service if you want to do a own trip to save cost, our car is available for 14 bicycles’ transferring per time or 5 people (including driver) plus 5 bikes travel together. 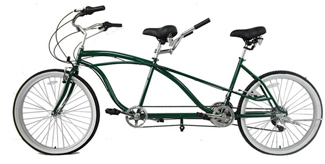 You can also arrange your own bike tour with only booking supporting car / tour guide service at the following price. At RMB 550 per day per leader. The guide only helps you with your own designed tour, and will not giving too much suggestion about our own exclusive routes, you will responsible for the meals and accommodation fee of our leader. At RMB450 per day per car. The driver does not speak English and only helps you with bike or baggage transfer. You will responsible for the gas fee and possible repairing cost of our car, together with the meals and accommodation fee of our driver. To reserve online, please feel free to contace us in the form below. You will get a quick reply within a working day.